Huntington Beach is known for its Fourth of July celebrations. In fact, their fireworks show, which takes place off the Huntington Beach Pier, is known to attract visitors from all over the state. But their fireworks show isnt the only event worth catching on July 4 in Huntington Beach. Considering the beautiful weather and beaches in the city, it should come as no surprise that its residents go all out for the July 4 weekend so much so that the readers of the Orange County Register have named Huntington Beach one of the best places to spend July 4 on numerous occasions. Kiwanis Pancake Breakfast: This annual tradition is a great way to start your Fourth of July morning. Head over to Lake Park where the Kiwanis of Huntington Beach will serve pancakes all morning for only $5. All of the proceeds will go towards charitable causes. The Kiwanis will begin making pancakes at 6:30 am and will stop serving at 10 am. Surf City Run & Expo: The Surf City Run is a great way to burn a few calories on the morning of the Fourth of July before you begin slamming down hot dogs over the weekend. People of all ages can participate in several runs. The Kids Run is for children ages 6 and under and consists of a 0.5-mile course. Children between the ages of 7 and 12 can run a 1-mile course. The 5K race is divided into 15 different age groups. Awards are handed out to the top three females and top three males of each group. It costs $20 for kids to register in the Surf City Run and $35 for anyone over the age of 12. A fitness expo is held afterward that features music, games, food, and more. The Surf City Run begins at 7 am and lasts until 9:30 am. The expo will last until noon. The Fourth of July Parade: Huntington Beach‘s Fourth of July Parade is something to behold. The parade begins at the Pacific Coast Highway and ends at the Civic Center. The parade is the biggest Fourth of July parade west of the Mississippi River and boasts more than 300 participants, which include everything from floats and bands to celebrities, community groups, and local dignitaries. The parade will begin at 10 am on July 4 and will end at noon. Spend the Fourth of July weekend in Huntington Beach by checking out some of these events before going to the free fireworks show at the Huntington Beach Pier. Visitors come from all over and gather along the coast for miles to view the impressive display, which will begin at 9 pm on July 4. And if you’re in the market for a new car, stop by %%di_name% over the long weekend to test drive one of our new vehicle models. 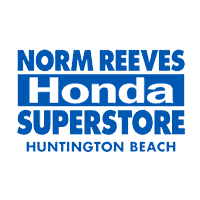 Norm Reeves Honda Huntington Beach	33.659485, -117.998802.